things to eat. They do not normally swim in the water of our ponds as black ducks often do. See the website: Images for australian wood duck. …..
used to form the edges of a Garden Room outside our bedroom. the parents flying back and forth. See the photo below …..
their eyes. It has a bright olive back with a black head and throat. …. 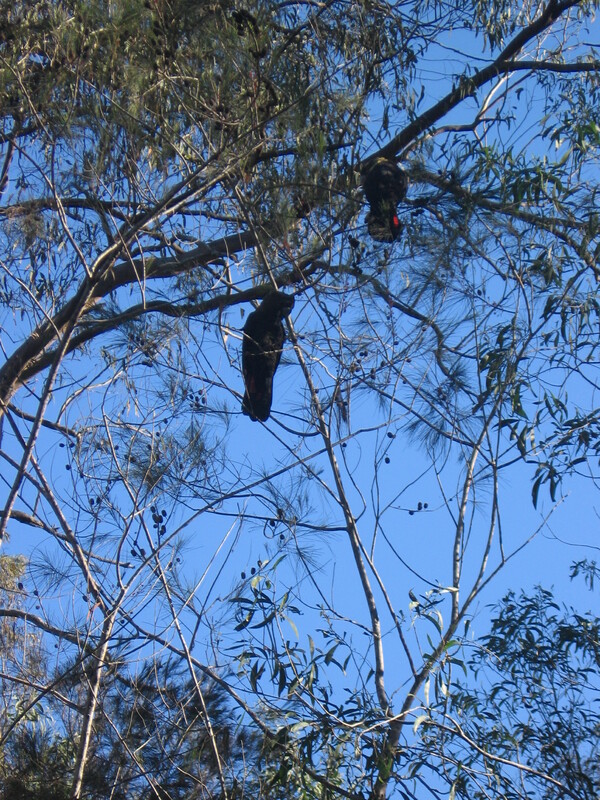 Very occasionally, koala bears pass through our land on the way to other places. eucalyptus trees in Australia but only a few species that they feed on. 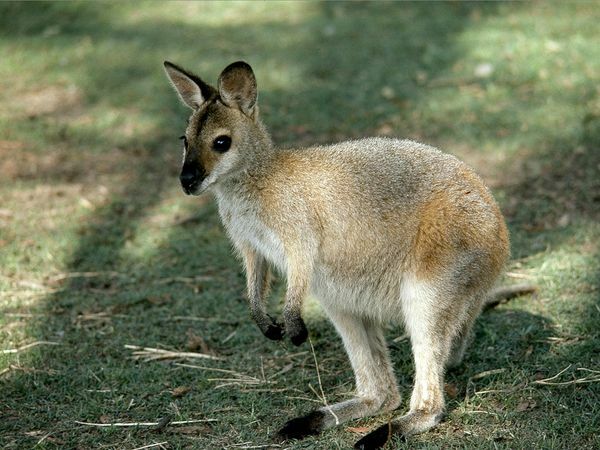 Read more at this website …..
be having lunch outside and a wallaby jumps along a boundary fence nearby. show reflections the surrounding bush …..
…. The pond outside our bedroom. 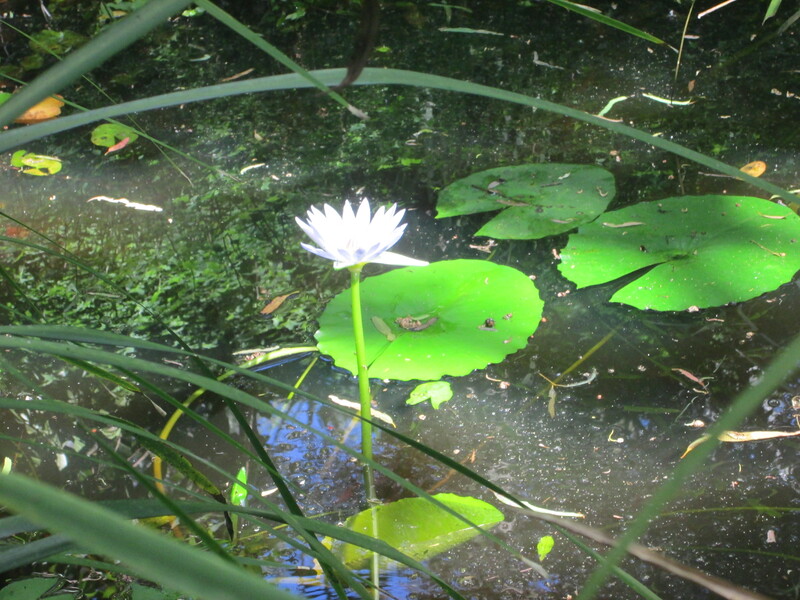 We have seen black ducks swimming in this pond amongst the waterlilies …. in the glass so run in and get my camera and get this photo …..
Banks’ black cockatoo, is a large black cockatoo native to Australia. the tail that gives the species its name. …. 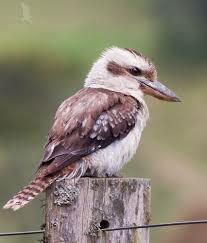 Every morning we hear the kookaburras greeting the coming day about an hour before sunrise. Their funny laughing call reverberates through our bush. Recently, a friend of mine was telling me about when he first came to live in Australia permanently from New Zealand. He heard this funny laughing sound in the morning and he wondered who on earth was laughing at him so early in the morning. 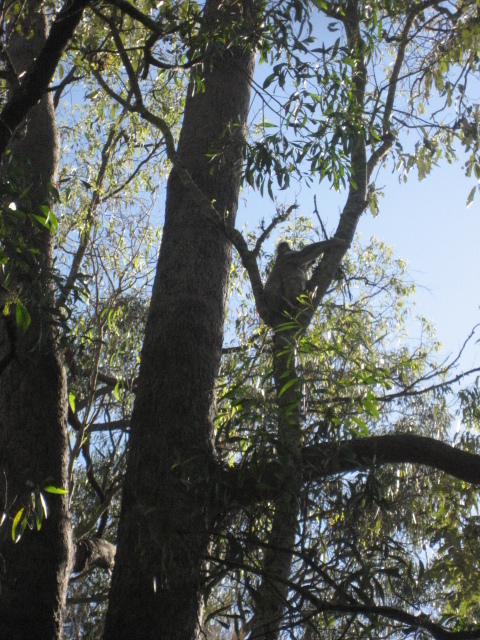 He soon learnt that it was kookaburras …..
differs between the species. 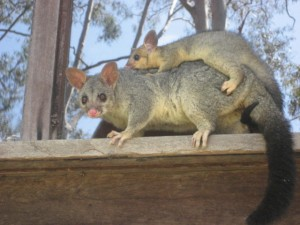 All species have distinctive cheek patches. on fruits and seeds gathered from trees or on the ground …. …. 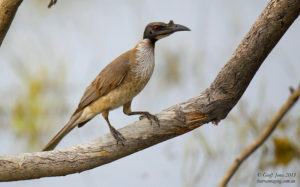 The Noisy Friarbird is a large member of the honeyeater family with a distinctive naked black head and a strong bill with a prominent casque (bump) at the base. 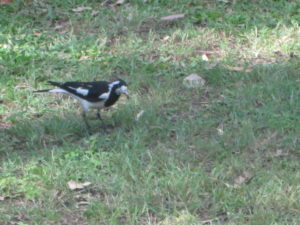 The upperparts are dark brown to grey, the underbody is off-white, with silver-white feathers around the throat and upper breast, and the tail has a white tip. It is a noisy and conspicuous bird mainly seen in small groups, usually up in trees. 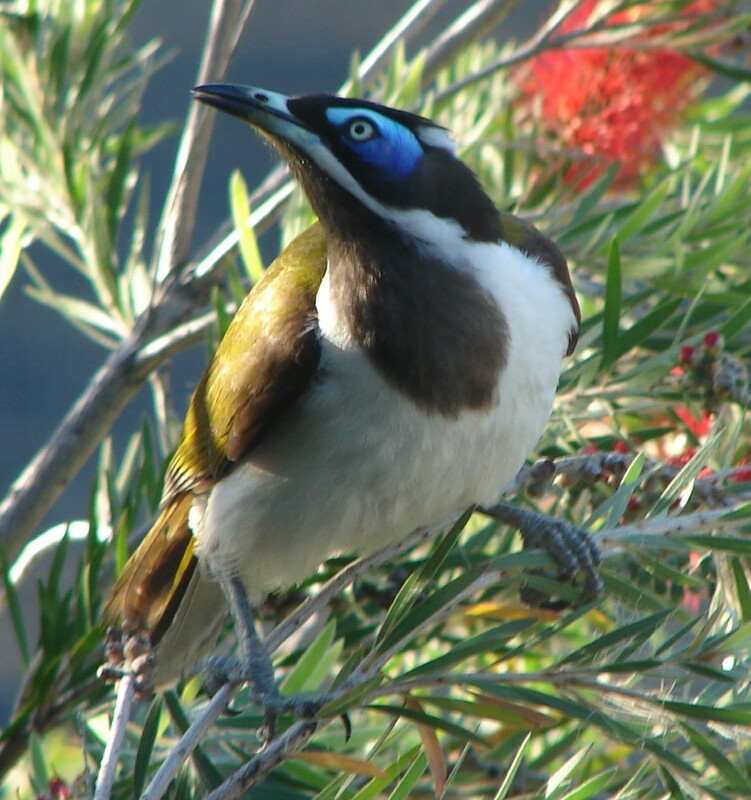 The Noisy Friarbird prefers dry forests and eucalypt woodlands, as well as coastal scrub, heathlands and around wetlands and wet forests, and is found in most climate zones, extending into arid areas along rivers. 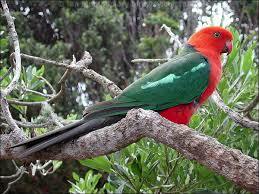 It is frequently seen on our land among the gum trees. In early September 2016 (the start of Spring in Australia), a pair of noisy friarbirds made a nest up in the native wisteria vine growing over the arbour. See The Outside Amphitheatre Garden Room for details on the native wisteria vine. 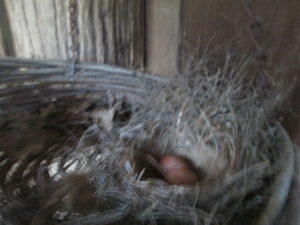 The have eggs hatched out and parent birds kept flying back and forth feeding their chicks. It was wonderful in hearing the cry of the chicks with each feeding. 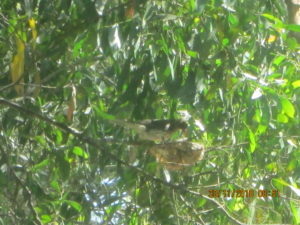 In the last few weeks another pair of Noisy Friarbirds have made a nest inside a shallow basket hanging outside a kitchen window. The basket hanging outside about 1.50 metres away from the kitchen sink. Through the glass you would see the birds flying back and forth with web-building material . 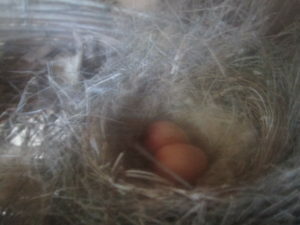 As of the 17th September, there are suddenly have two eggs in the nest. See the two photographs below. It is how to have a close intimacy with the birds on our land …. .
…. Pacific Black Duck …. 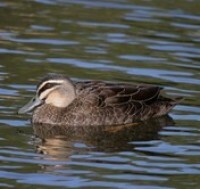 The Pacific Black Duck is mainly vegetarian, feeding on seeds of aquatic plants. This diet is supplemented with small crustaceans, molluscs and aquatic insects. Food is obtained by ‘dabbling’, where the bird plunges its head and neck underwater and upends, raising its rear end vertically out of the water. Occasionally, food is sought on land in damp grassy areas. … In November 2017, I was home by myself as my wife had gone out. I heard a little sound outside on the northside of the house where our ponds are located. 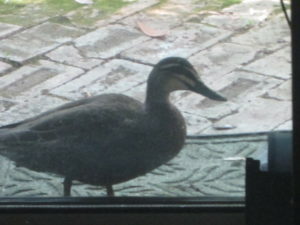 I went to have a look and here was a black duck pecking at the glass. It was being territorial and pecking at its own reflection in the glass window. we have similar situation with another small bird species. It is very annoying at times as you have go and shoo the bird away. With the black ducks, they normally swim and forage for food in one of three large ponds. 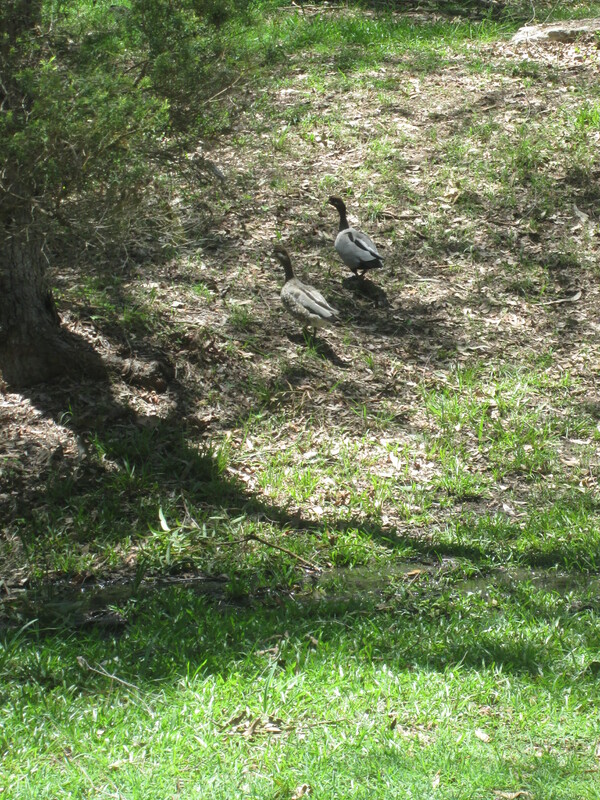 A pair of black ducks has taken to crossing our front lawn and wandering through our garden. They are becoming quite tame. 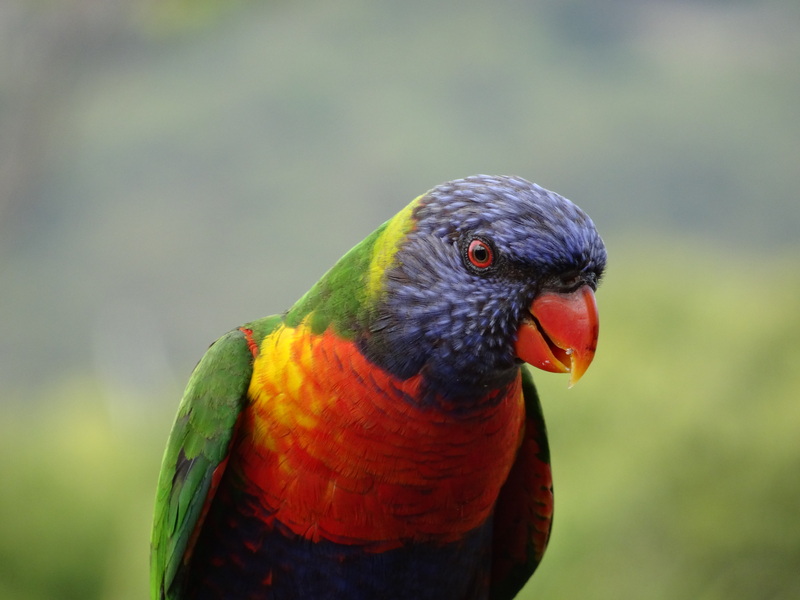 We have a big aviary on our land with many birds …. but we live in the aviary = the house but the birds are outside. We have a dove which has made its shallow nest just near our BBQ. 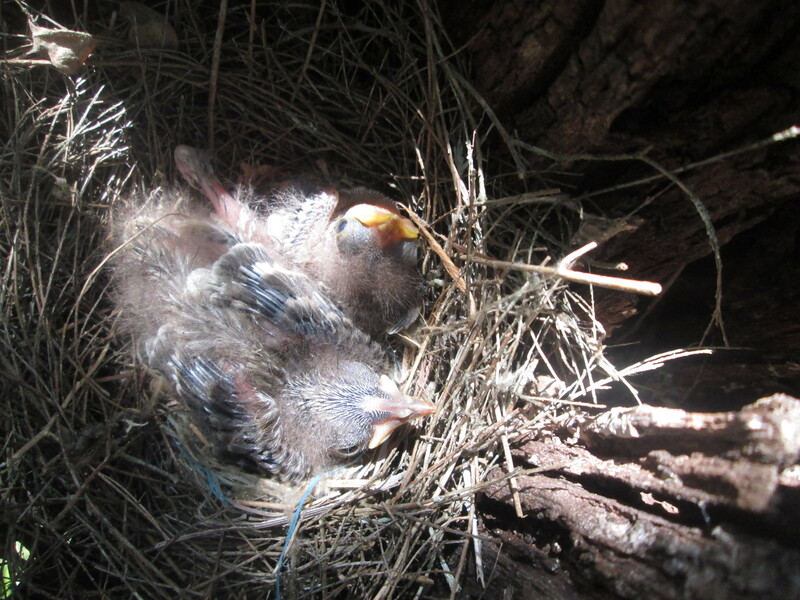 You can get near the bird on the nest to nearly one metre away. 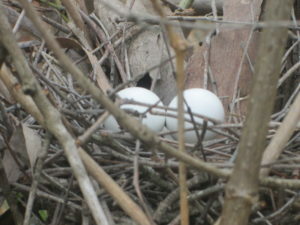 Even then you need to move a small branch before it flies off the nest to leaves two eggs behind. 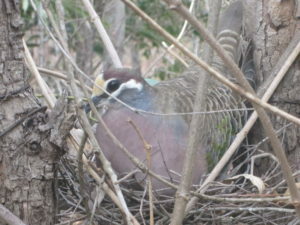 The common bronzewing (Phaps chalcoptera) is a species of medium-sized, heavily built pigeon. Native to Australia and one of the country’s most common pigeons, the common bronzewing is able to live in almost any habitat, with the possible exception of very barren areas and dense rainforests. Males of the species have pale-yellow to yellow-white foreheads, and pink breasts. Both males and females have an easily discernible white line around and proximate to their eyes. Common bronzewings also have patches of red, blue and green on their wings, a feature which is characteristic of all bronzewing pigeons. Young birds are usually duller in colour and browner than the mature common bronzewing. Rarely found far from a source of water, common bronzewings either travel alone or in pairs or in flocks, and are usually cautious, making approach by humans or other animals difficult. Common bronzewings are, on average, between 30 and 36 centimetres (12–14 in) in length. 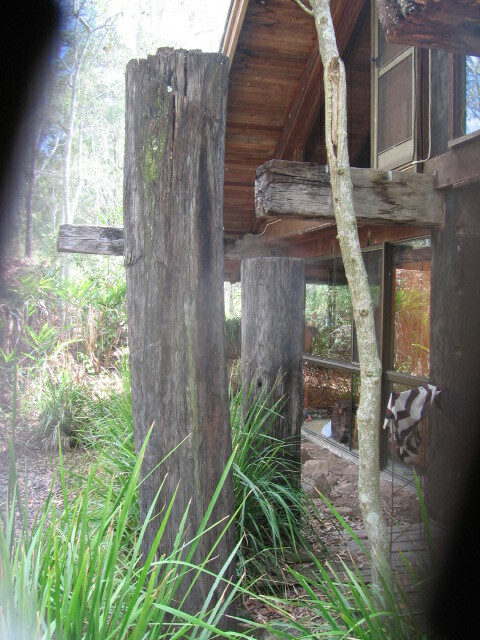 The End of the Posts on Our House and Garden.